A remarkable cushioned octagonal Venetian cartouche mirror with very rare decorative shaped and bevelled margins/edges on all sides, reverse etched with grapes, vineleaves and flowers. The central glass is in excellent condition with very slight patination at its outer margins and bordered by bubble decorations. 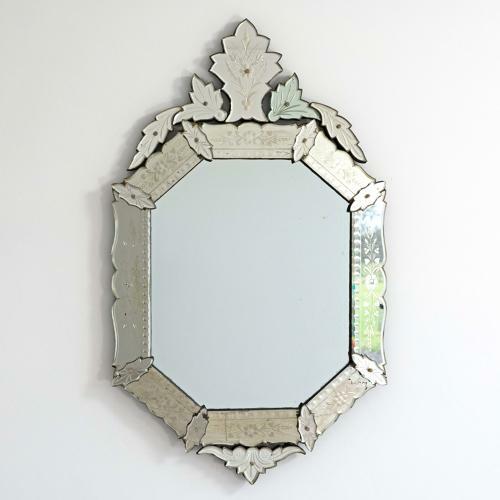 An outstanding decorative antique Venetian mirror dating from the mid 19th century.